Portugal’s Decriminalization of Drugs and is it Right For The US? The United States is, inarguably, in the midst of a colossal drug epidemic. Last year alone, there were over 50,000 overdose deaths in our country. On the other end of the spectrum, the small European country of Portugal has managed to vastly decrease their rate of deaths from drug use over the past decade and half. But how? Believe it or not, many people credit this to the fact that Portugal decriminalized the possession of small amounts of any drug in 2001. Since then, fewer Portuguese citizens are dying from drugs, fewer drug users are becoming HIV infected, and more Portuguese citizens are seeking treatment for addiction than ever before. Viewing users as people who need help rather than criminals who should be punished has helped Portugal make great strides and fight back against the growing epidemic they faced before the change. In 1974, the authoritarian dictatorship that had been ruling Portugal for nearly fifty years was overthrown. The Carnation Revolution, a bloodless military coup, resulted in the former republic transitioning to a democracy, which it has been ever since. This was a time of major change for this European nation; freedom and celebration was felt nationwide and as a result, citizens suddenly began to experiment with drugs at a never before seen level. Further, during this transition, Portugal gave up its remaining colonies around the world and colonists returned to their homeland with a wide variety of substances that spread quickly throughout its borders. Before long, drug use of all kinds was rampant in this small European nation. By 1990, 1% of the population of Portugal was addicted to heroin – nearly 100,000 people in a country of 10 million. As a result of this increased rate of drug use, addiction, and drug related deaths in their country, Portugal soon started to found various programs in an attempt to turn things around. Substitution treatment became available in Portugal in 1977 through both public services and non-government organizations, first offering methadone, and later buprenorphine as well. In 1987, Portugal opened their first government-run and funded treatment center, Centro das Taipas, in Lisbon, and soon after opened many more facilities throughout the country to treat those suffering from addiction. In 1993, their nationwide program, “Say NO! To a Used Syringe,” began, to give clean needles to intravenous drug users and addicts through a partnership between the Ministry of Health and the National Association of Pharmacies. These services had some effect, certainly but not enough. People were still dying from overdoses at an alarming rate, and the spread of HIV throughout Portugal’s borders was rapid. Something had to be done. So, in 2001, Portugal’s leadership decided to take a brave, unique, and unprecedented step. They decriminalized ALL drugs, and in July of that year possession of less than a ten day’s supply of cocaine, heroin, methamphetamines, cannabis, and so on, all was still considered illegal, but was no longer seen as a criminal offense. Portugal had already done quite a bit to show that their leaders viewed drug use and especially addiction as a disease, not a crime by this point, based on the services mentioned above that were created in the 1970s, 80s, and 90s, so in some ways, their move to decriminalize all drugs was not that surprising. When the movement for decriminalization began, there was little opposition to it. Leaders realized that what they had been doing was not working, and it was therefore time to try something else instead. Drugs are still illegal in Portugal, but possession of small amounts is no longer considered a criminal offense. People like drug dealers, growers, and traffickers are still targeted and, when caught, are prosecuted to the full extent of the law. Users, on the other hand, are treated as individuals with problems, rather than criminals who need to be punished. Anyone caught with small amounts of a drug – a gram of heroin, ecstasy, or amphetamine, two grams of cocaine, or up to twenty-five grams of cannabis – are not arrested, but instead are issued a summons (after their drugs are confiscated, of course) to be interviewed by a Commission for the Dissuasion of Drug Addiction. There are eighteen of these commissions in Portugal – one for each of the country’s eighteen districts – and each is made up of three people: a social worker, a psychiatrist, and an attorney. In the meeting with one of these commissions, the offender will be evaluated and sanctions decided. If it seems that the individual is an addict, he or she will be sent to treatment. The commission cannot mandate that the user stay in treatment though; if he or she refuses to go or does not finish a program, then community service is assigned instead. The commission has the power to hand down other sanctions as well. In 80 to 85% of cases, the individual is a first time offender and as a result, his or her case is suspended. But repeat offenders may have to pay a fine of 25-100 Euros, may have their license suspended if they are in a licensed profession, may be banned from visiting certain places (like clubs or bars), or may not be allowed to associate with certain other people. Further, they could also be prohibited from leaving the country, might lose their right to carry a firearm, may have certain personal possessions confiscated, or could lose any public benefits they receive. In most cases, though, the individual is referred to a drug treatment center or assigned to service in their community; again, the goal of Portugal’s drug policies is to get people the help they need if needed, not to punish the individual. Overall, the results of decriminalization in Portugal over the past sixteen years have been positive. Despite the fact that some studies imply that drug use is actually up since the change – one chart shows that people reporting use of “all illicit drugs, lifetime” rose from 7.8% to 12% from 2001 to 2008 – the majority of research and analysis demonstrates that with some exceptions, like a marginal increase among adolescents, drug use has actually fallen overall over the past fifteen years, and, as expected, does exhibit ebbs and flows with overall European trends. Although Portugal still processes 2,500 drug cases per year, that’s a 75% decrease from the 1990s, and there has been a 50% decrease in convictions of drug dealers and traffickers as well. That may be because of the fact that the value of illegal drugs has dropped dramatically as a result of decriminalization, and therefore, less people are seeing these roles as lucrative ones. Police officers report drastic decreases in their drug related criminal workloads, and they are less likely to stop someone for doing something like smoking marijuana, thereby freeing them up to deal with other types of crime instead. Success is, however, most evident and demonstrable in the area of public health. There were eighty deaths reported in Portugal from drug overdose in 2001, a year in which drugs were criminal for the first half the year and decriminalized for the second half, but only sixteen overdose deaths just eleven years into the new regulations in 2012. The most recent figures reported show that last year Portugal had only three overdose deaths per million citizens, compared to the EU average of 17.3. And, there was a 60% increase of people entering treatment as of 2012. In fact, a study published in 2010 in the British Journal of Criminology found that after decriminalization, Portugal saw a decrease in imprisonment on drug related charges while at the same time there was a surge in visits to health clinics that deal with addiction and disease. People want treatment, and will seek it out of it is available. Portugal has universal health care, and now that drugs are decriminalized, there is absolutely no reason why a person who is addicted to drugs who wants help cannot get the help that he or she needs. Portugal’s HIV epidemic is also more under control than it was before decriminalization. A 2009 study by the Cato Institute found that STD rates in general were decreasing dramatically. Most impressive, though, is the fact that the Portuguese have seen a 90% decrease in drug related HIV infections since drugs were decriminalized. Since 2001, Portugal went from being one of the countries in the EU with the highest rate of new HIV infections in drug users to one of the lowest. Although the idea of harm reduction for addicted people over punishment has begun to gain traction here in the United States, we still have a long way to go before decriminalization could even be considered. Not only is the US much larger than Portugal – with a population of 321 million as opposed to 10 million, the culture here is vastly different and the feelings of most citizens towards drug users tends to unfortunately be rather negative. 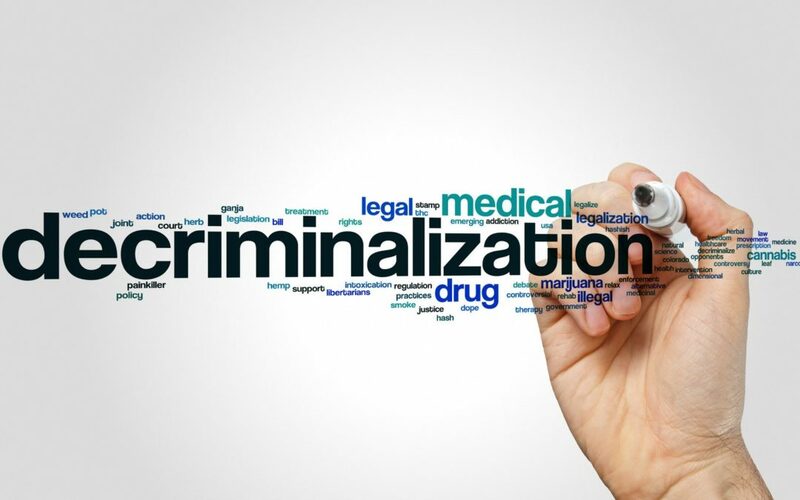 Many addiction recovery professionals however feel that decriminalization may be our only hope in fighting our growing epidemic domestically. It’s certainly something that should be seriously considered based on Portugal’s successes. When Portugal first decriminalized drugs in 2001, the International Narcotics Control Board, the UN oversight body established by the UN drug convention system, was not pleased. But today, that same group looks towards what Portgual has done as an example for all. Perhaps we should, too.